Postlandia: A Really Small Post Office? 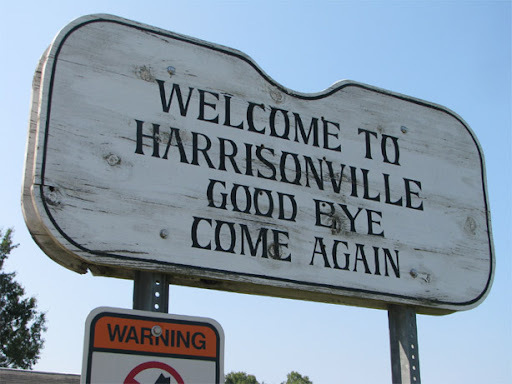 A few miles down the road from Woodstown, NJ (subject of my previous post) is Harrisonville. I think every community has something to offer if you visit it. In this case, it's a spot of humor. This sign was stolen, I believe, in August, 1968 on the day there was an explosion at DuPont Chamber Works in Deepwater, NJ. It killed 3 men, one of them my uncle. Another uncle of mine witnessed the theft, but was on his way to my grandparents' house, having just received the bad news. I was 4 or 5 at the time. Is this the original sign or a copy of it? Either way, I am glad to see it again.